Create a checklist of amenities - Get to know what is on their priority list. When it comes to buying a house, this is not their first rodeo! 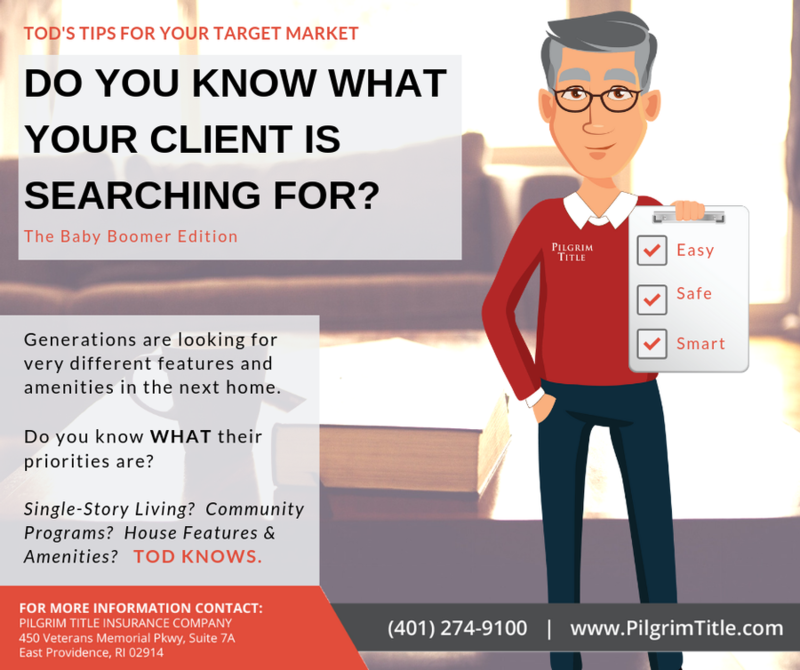 TIP: Boomers want to know cost up front! Close proximity to a fitness studio, shops and restaurants may be top of the priority list!